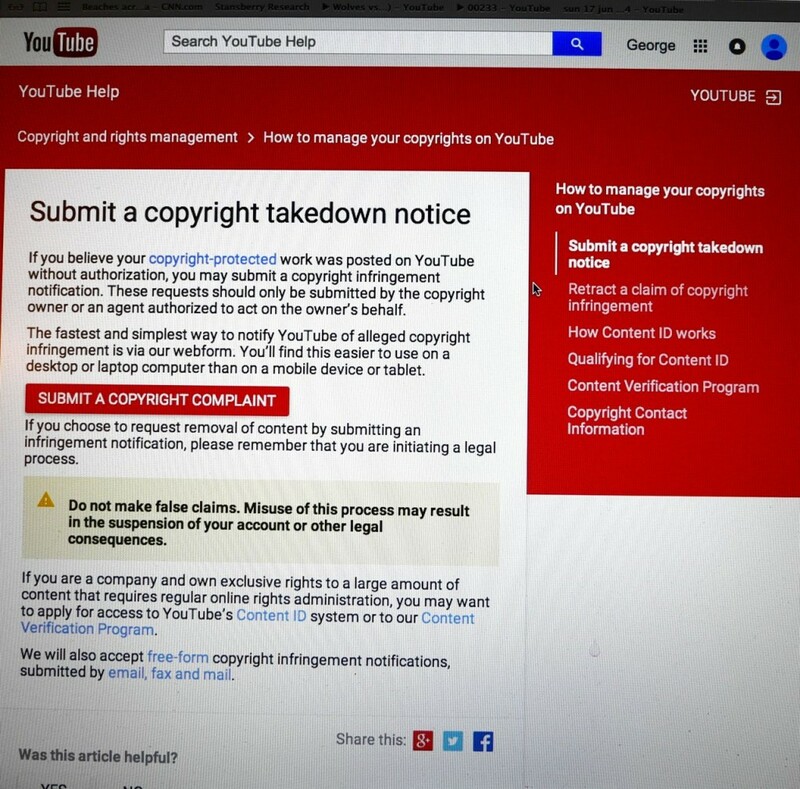 Dear youtube, yesterday you sent me 2 ©opyright claims, on 2 fair use comment & incidental background music george godley videos with 20 & 40 views on them, saying they will be monetized for the ©opyright owner. “i’m a stud” https://youtu.be/I7N07gtRnZM 6,675 views. Please do not take them down, just monetize them for me like you do for everyone else. I didn’t see this option on the dmca ©opyright report form. Could you also please pay my George Godley Fullscreen partner account earnings that were stopped for the past year. I was extremely distraught at the disappearance of 11,000 george godley videos due to pagination removal, video manager & “load more” button limits, & breach of contract & wrongful termination of geogodley account. Thanks for contacting the YouTube Copyright and DMCA compliance team. We will review your request as soon as possible. Please note that general help inquiries won’t be answered here. To expedite our ability to investigate your claim, we encourage you to submit your copyright claim electronically via our webform. For help with other site-related issues, please visit the YouTube Help Center. If you wish to report abuse or inappropriate content, or would like to make a privacy complaint, please visit our Safety Center. If appropriate, you may submit a complaint regarding other legal issues (including trademark and defamation). The requirements of DMCA notification, and information about our DMCA policy, can be found here. Please make sure that you’ve provided us with all of the required information in order to process your complaint. Specifics of the policy applied to your video are in the copyright notices section of your YouTube account. There, you may click the underlined link to the right of the video’s Edit menu to learn more about the claim. Regarding the others URLs that you have identified, we weren’t able to process your complaint because the information provided was incomplete. The easiest way to submit a complete request is to use our webform. If you have concerns relating to harassment, your privacy, safety, or other abuse issues, please visit our Policy and Safety Hub for instructions about how to report the relevant content. You may also submit a complaint regarding other legal issues, such as trademark or defamation.